A very innovative foldable boat that can be used as a kayak or as a canoe! This hybrid paddles faster than typical inflatable kayaks, and is more stable than folding kayaks. The "NERIS Smart-1" has a duralumin longitudinal keel and cross rib frame pieces with brackets made of stainless steel, which significantly improves the kayak's reliability, strength and endurance. The boat skin is one piece as with all folding kayaks - the hull being the same as in typical folding kayaks. Only the side walls are inflatable as in inflatable kayaks. This boat can be used as a stable single seater, with the seat centrally positioned. 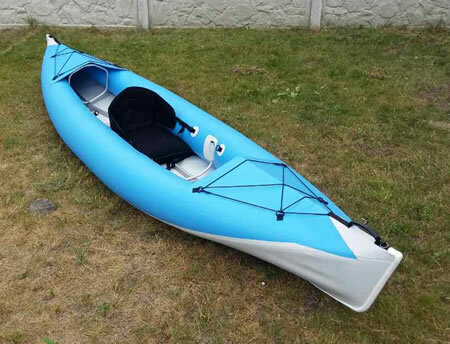 Two different types of seats can be fitted - the standard inflatable floor seats (same as supplied with the Neris folding kayaks), or canoe type wood bench seats. There are thigh straps which assists with kayaking. Cross ribs also act as foot braces. The "NERIS Smart-1" has a hybrid design, being part folding kayak and part inflatable kayak. 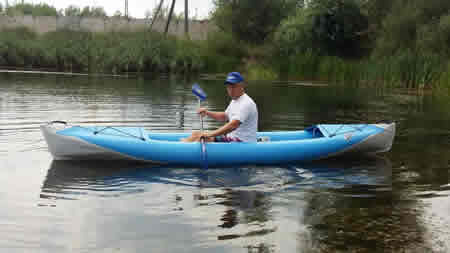 The boat is very easy to assemble, with the frame members essentially reinforcing the 'inflatable kayak'. The frame is made of high quality D16T grade anodized duralumin tubing. 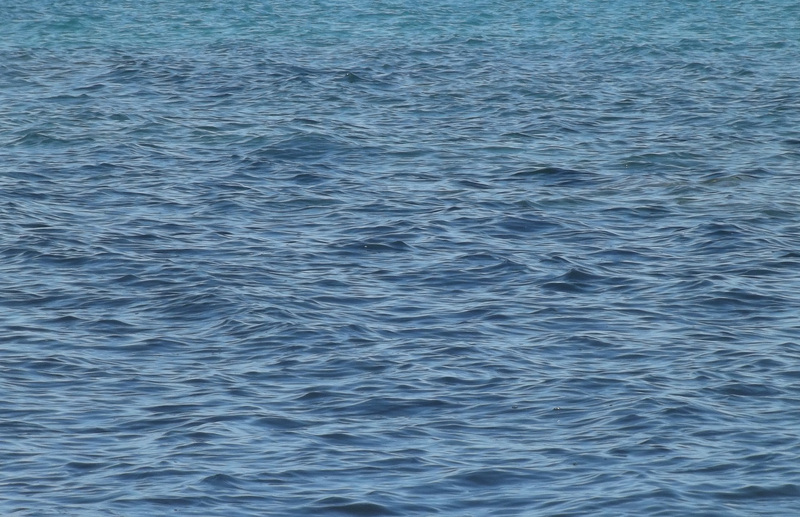 The skin is made entirely of durable PVC which does not absorb water, so after a paddle, simply wipe with a dry cloth and the kayak is ready to be packed. The cross ribs in the cockpit area are of the open design, which means you can sit anywhere within the cockpit. The kayak / canoe will still remain afloat should one or both inflation chambers deflate as the side walls are held up by the cross ribs, giving you time to get back to shore. comes out during Summer 2018. Number of seats - one adult. The standard spray cover has 1 cockpit hole, and comes complete with 1 skirt and 1 cockpit cover.